According to the reports based on research conducted by Google Analytics in 2015, web searches done from mobile phones have outnumbered the desktop web searches by a huge margin. This trend doesn’t seem to stop till date. This significant rise in mobile phone web searches prompted Google to develop special search algorithms that emphasised on mobile-friendly interfaces. Though the impact of this algorithm is yet to be known, it is a certainty that it will be beneficial in the days to come. The basis of this algorithm is understanding of the user’s intent and the things they are seeking on the web via their mobile devices. The appearance and appeal of your website on mobile phones matter the most because this can be beneficial in building a strong customer base. With every passing day, more and more customers are switching to mobile phones for browsing on the web. And yet there are companies that focus on SEO of their desktop sites and simply ignore the fact that making their websites mobile-friendly can take things to a whole new level. The sooner you embrace mobile friendly SEO strategies, the better things will turn out be. And embracing the mobile-friendly interface effectively is the key. There are many websites out there that believe that they have a mobile-friendly website but the harsh reality is that they do not understand the concept clearly. There is a general misconception that prevails regarding the mobile-friendly website. Many webmasters think that cutting down their desktop site in terms of size is the best way to make the website optimised for mobile interfaces. The biggest mistake here is that they make no changes in templates or the content which is something that hurts the website in the long run. But what is the reason behind this? The problem lies in the fact that not everyone has a mobile phone that can easily load heavy desktop sites. Though the smartphones are quickly catching up on the specifications part, their screens are still petite compared to the desktops. The text of desktop versions of the websites are way too small and operating on the pages gets tougher. Above that, the intent of a person browsing from a mobile phone differs to the person who uses a desktop for browsing. The content should be shorter and precise in order to make sure that the intent of the customer is fulfilled. The reason for some websites being successful from the other is that they have unique strategies for both mobile and desktop versions of their sites. Now, the real question is- How should the mobile version of the website vary from the desktop version? 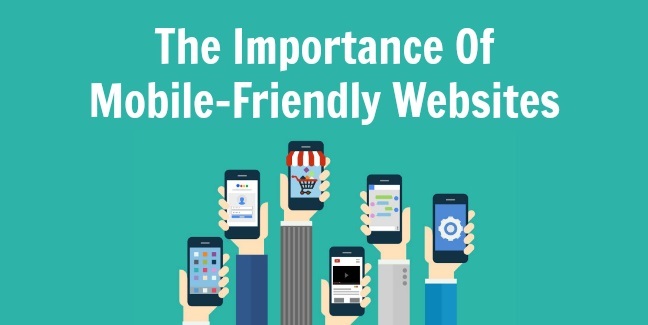 Let us dwell into the details and get some tips for an effective mobile-friendly website. Research about Mobile Device Keywords: Majority of webmasters make the mistake of messing up the desktop site keywords with the mobile website keywords. This is something that makes things difficult, even for a well-executed mobile website strategy. It all leads back to the point where we mentioned the intent of the two different types of users. Nowadays, mobile devices have the text-to-speech technology as well which converts speech to text and automatically register it in a search box. And then, the way people speak differs to the way they write. It changes the sentence structure and the outcomes are different. The best way to escape this mess is by making full use of Google Analytics which helps you to determine the keywords that users are including in their web searches. Thorough research is important if you want to make sure that your website is properly optimised with the most searched keywords from mobile phones. 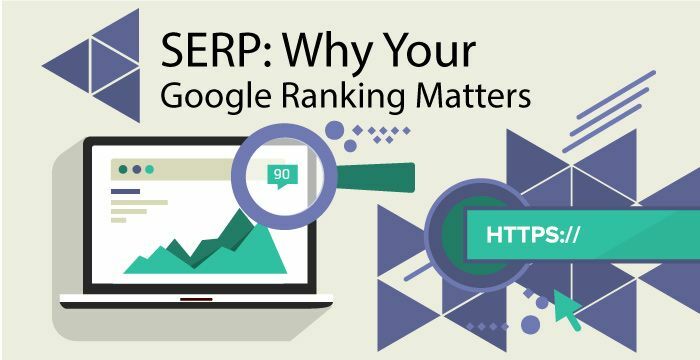 Understanding Google SERP: SERPs (also known as Search Engine Result Pages) are a very crucial factor that can play a huge role in making your website mobile friendly. On searching for a keyword relevant to your business, the position where your website appears makes all the difference. Google has become so sensitive to keywords that the same thing asked in different sentence formation will result in different results. The algorithms allow Google to identify the intent behind the user’s query and it suggests the results likewise. What the users on a desktop seek can be way different from the ones browsing the web from a mobile phone. The mobile users are always looking for some quick alternatives like directions, restaurants to visit and so on. Making Website’s Content Mobile Friendly: A website that is fully optimised for mobile phones is smooth to play on even the smallest devices and is easy to read in terms of content. Navigation for the website should be good and the customers should face no issues with enlarging or diminishing the images. The website should be responsive to mobile devices making things easier for the customers. Separate Tracking of Mobile and Desktop Analytics: This is indeed the best way to find out how good your mobile optimization strategy is faring after its introduction to your website. Just make sure to keep in mind that the numbers of desktop and mobile analytics are analysed separately in order to avoid any kind of a mess. The measures to track are the traffic on your website, the conversion rate and the number of visits on your website’s pages. It will help you to understand whether your strategy is working or not. Utilizing Google’s AMPs: No, these are not the musical amps. It is a service launched in 2016 by Google. The webpages that are powered by Google’s AMPs (Accelerated Mobile Pages) load up much quicker as compared to the pages that lack the service. In addition to that, pages with AMPs enjoy better rankings in the Google search results as well. Needless to say, people searching for content from mobile phones wish for the web pages to load as quickly as possible in order to save time. And it is a proven fact that people do not like to wait for long periods of time for the pages to load and leave abruptly, opting for the service of websites that are better. Also, quick loading pages appear higher on the search results which is a good thing to boost traffic and conversion rates of your website. Focus on Long Term Goals: Like all the other search engine optimization strategies, optimizing your website for mobile phones is going to take time as well. And the results will take some time too. Remember, Rome was not built in a day. And neither will a successful mobile optimized website. Patience is the key to success in this aspect and you need to be persistent with your efforts. Analyse your strategies on a regular basis and keep a track of how far you have come and how far you have to go. There is no doubt about the fact that smartphones are occupying the market and in the days to come, more and more web searches will be made from mobile phones only. The best way to make the most out of this opportunity is to start as soon as possible with your mobile optimization strategy. From reading e-books to shopping on e-commerce websites, the focus has been shifting towards mobile phone technology. All the brands need to keep this in mind and keep up with the speed of technological advancements as well to make sure that they are offering well optimised mobile-friendly websites to their customers. On a concluding note, a mobile strategy is more than making changes in desktop SEO strategies. A different approach should be taken and with consistency, this will surely turn out to be in your favour at the end.